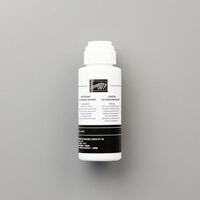 Confused About Which Ink to Use on Paper Craft Projects? Are you confused about which ink to use on paper craft projects? You’re not alone! 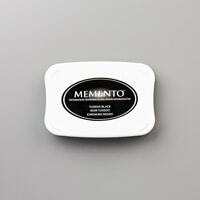 Today’s quick tip video will address Classic, Memento, Whisper White Craft, Stazon and Versamark ink pads. 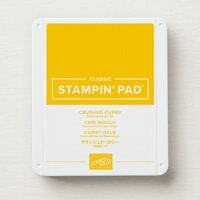 I’ll go into details on what each ink pad is comprised of and when best to use it. Each of these ink pads has a refill, too. 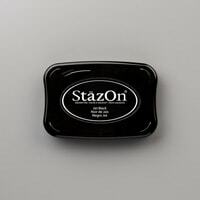 I’ve also included cleaning tips when using Stazon ink on red rubber and photopolymer stamps. Which Ink to Use on Paper Craft Projects – Pin the below image for future reference. This is one tip you won’t want to miss saving to your Pinterest board so I’ve created a graphic for you to pin. I’ll be Live on YouTube, this Thursday, February 14 at 8PM EST – 5PM PST – 6PM MST – 7PM CST! I’ll be demonstrating a new project and you won’t want to miss the tips and inspiration I have to share. This is a free Live event so invite your friends and plan to join us HERE. If you’d like to comment during the live event, be sure to create and log in to your YouTube account. Can’t watch live? No problem. The event is recorded for you to watch when it’s convenient. I’m using the Butterfly Gala Bundle (stamp set and coordinating punch) with this month’s card making kit! Place any $50 product order (before tax and shipping) between February 13 – 16, using the exclusive kit host code, and I’ll send you a free card kit to make 8 cards, 2 each of these 4 different designs. 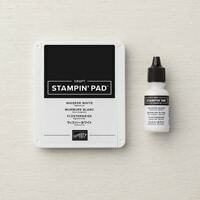 Stamping from home is convenient, easy and fun! I’ll include a video to stamp along with me, a PDF tutorial with pictures and step by step instructions plus a bonus Live with Lisa event invitation. I’ll have a short introduction video on Wednesday so be sure to come back and check it out! This is not a club and there is no monthly commitment. Here are the products I used in today’s “which ink to use” quick tip video. Click on any of the images to be redirected to my online store. I offer exclusive and generous online ordering REWARDS, too! Did You Enjoy Today’s Video? If so, share the image below with other paper crafters by pinning it to your Pinterest board. Yes, I said free! Now through March 31, spend $50 (before tax and shipping) and choose a FREE product of your choice from the exclusive Sale-A-Bration brochure! There’s no limit – for every $50 you spend, choose another FREE product! Earn even bigger selections when you spend $100 – great for those of you with a big wish list! Just look for the “FREE $50 and $100” icons throughout the brochure. New products are being added on February 15th, too! All my online ordering rewards apply as well. Click HERE to read about my rewards program. Great tip. 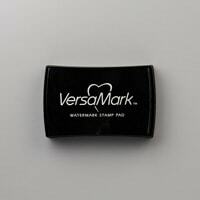 I never knew which ink to use when except the varsa mark for embossing. Thank you so much. Happy to read that this tip was helpful for you, Faye. Thanks for coming by to watch. Thank you Lisa for explaining the inks and which to use, This really helps. Hi Linda! So glad this helps. Thanks for coming by today. Thank you so much for taking the time to send the catalogs. Thanks for your information, Linda. I’ve sent your catalogs out in today’s mail and followed up with an email. Thanks for your interest.